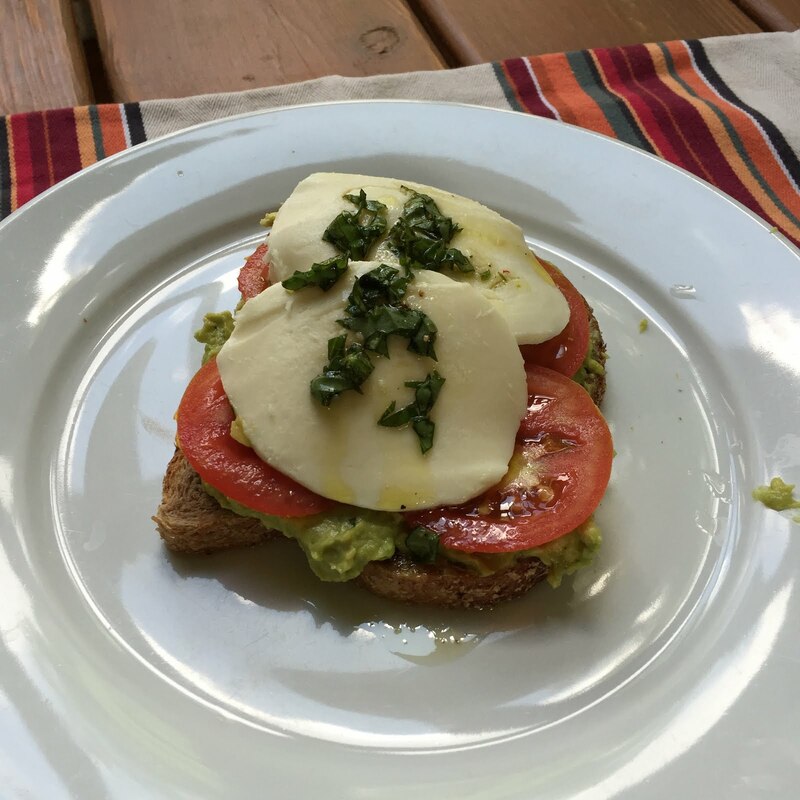 I recently started tweeting with Marc from the Netherlands he has a fun food blog that often features the families adorable bunny rabbits and his kids in the Kitchen. 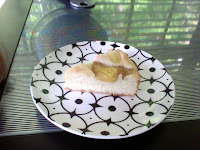 I couldn't resist asking him for a guest post on a Dutch recipe. As I am always so eager to learn new recipes from around the world! I'm 43 years old dad, father of 2 boys,and husband of a lovely wife. 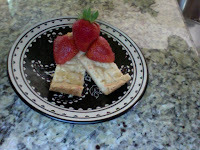 I like to photograph,cooking and grilling year round.love to cook with the kids. I start the blog http://broadcastmarc-grilladventures.blogspot.com/ in april 2010 after reading about outdoor cooking. We love to do things outdoor and enjoying it very much, and will share this adventure with other people around the world. fennel,cauliﬂower,leek and off course Brussels-sprouts. Now this is a typical “Dutch” healthy dish.Itʼs full of vitamins. 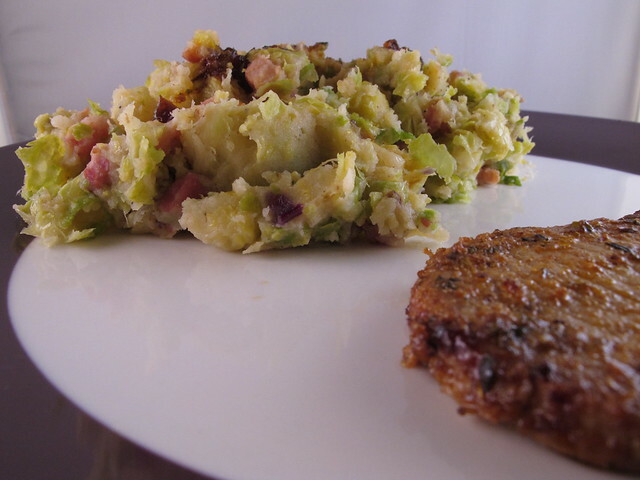 I made a nice stew of the Brussels-sprouts with potato and bacon. Peel the potatoʼs and cut them in 2 parts. Cook the potatoʼs with a pinch of sea salt. 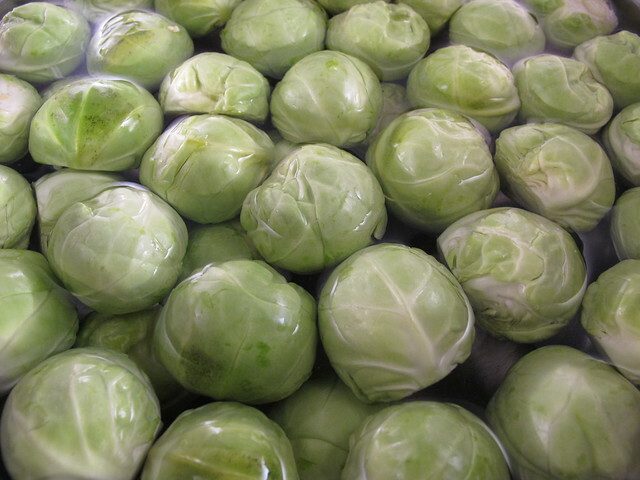 Do the same with the sprouts. In the meanwhile bake the bacon. Hello Marc, nice to meet you, a lovely dish..we love brussel sprouts and my hubby would the addition of bacon with potaotes.. 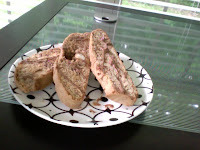 I remember being offered this dish once made by a German friend and loving it! Brussel sprouts and bacon seem like such a perfect match. Nice recipe for Brussels. I have had them w/ bacon and love the addition of potatoes. Nice to meet you Marc. What a combination! I am still trying to convince my husband to try brussel sprouts; this reciep might be the answer. Awesome post. Now can we get Marc to post a recipe for bitteballs (?sp), that addictive potato bar snack I had whilst in Netherlands a few years ago? What a great post! I love this recipe and will try it myself! What a fun blog you have Marc! 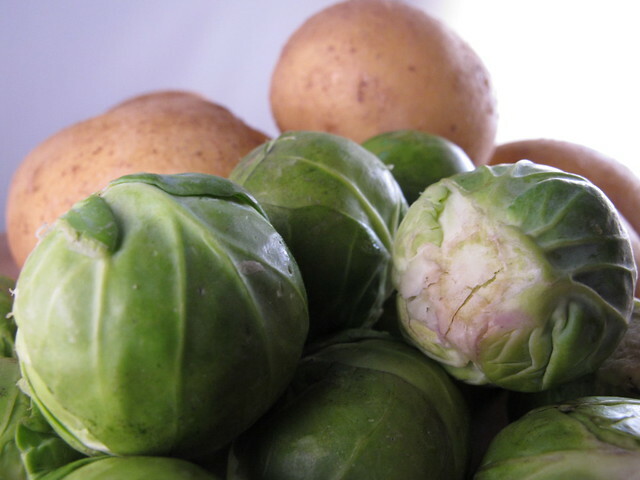 This sounds like a wonderful combination and we love Brussels sprouts here. Hello Marc,nice to meet...lovely dish..hapi new yr! Wow, mixing the veggies is totally new to me! I love this idea! Lovely to meet you, Marc. I love Brussels sprouts but never thought of making a stew out of it. Looks wonderful and something I will try. Thanks for all the comments..really appreciate it! @DOC i'll try to make a "bitterbal" recipe for you guys LoL..